The UIC seeks to integrate spirituality with academic life and promote tolerance, peace, and understanding of all faiths and spiritual traditions. Our programs include celebrations and interfaith gatherings, educational events including religious study courses, community service, worship/meditation, spiritual care and counseling to students, faculty and staff, strengthening a campus wide sense of spirituality, providing a spiritual perspective for various academic educational programs and events on campus, and increasing awareness of options for spiritual life on campus. The Interfaith Council voted unanimously to publish the following statement in a half-page advertisement in the UCSC campus newspaper. The statement was published in City on a Hill on January 19, 2017. 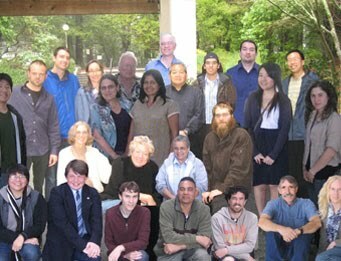 The University Interfaith Council (UIC) strengthens the rich spiritual life at UCSC through cooperation and community. With recent reports of hate crimes against and harassment of religious and other protected groups, the UIC is united in expressing its opposition to all acts of violence or harassment against people of any faith or spiritual tradition. We, the member groups of the UIC, consider any acts that belittle, intimidate, endanger, or harm someone based on their faith or spiritual practice to be contrary to our shared mission. We are also opposed to mistreatment of people based on age, national origin, race, gender, sexual orientation, or physical or mental ability. The UIC’s member groups come together from diverse backgrounds to serve the needs of UCSC’s students and, as a group dedicated to openness, understanding, and education, we encourage the leaders of the UC system to continue supporting the rights and well-being of all students. We seek to integrate spirituality with academic life and promote tolerance, peace, and understanding toward all faiths and spiritual traditions. We achieve these goals through events sponsored by the UIC and activities sponsored by the individual member groups. 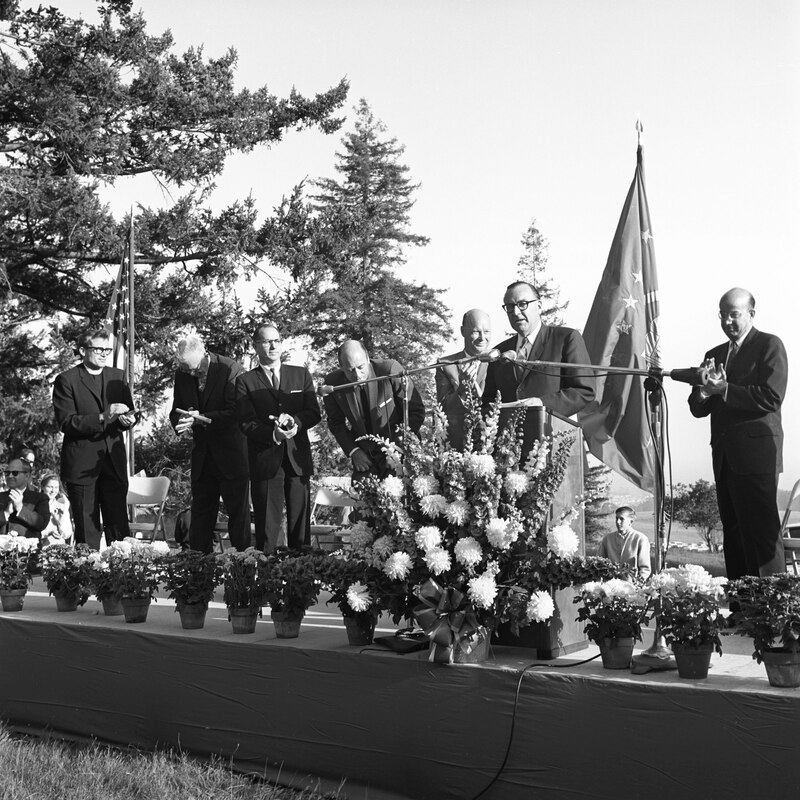 On April 17th, 2014, UCSC Celebrated the 50th Year Anniversary of the dedication of the original site that would become the home of the Banana Slugs. The original dedication was on April 17th, 1964 and UCI's founder Rev. Herb Schmidt was one of the many people present. 50 years later, he was invited to give a spiritual reflection at the Anniversary Ceremony. His remarks are recorded below. It was a privilege 50 years ago to be asked by Dean McHenry to give the opening Invocation and Benediction for the site dedication ceremony which took place on that knoll between Cowell and Humanities. Looking at my words on that occasion they were a bit flowery, (Thees and Thous), and no inclusive language. However the Invocation and Benediction and words more eloquent spoken by Gov. Pat Brown and Clark Kerr included wonderful sentiments and dreams about what this University could become. My phrases hoped that this University “would shape not only the destiny and future of this community, state, and nation, but in reality, the destiny and future of the world and beyond(universe). High hopes and Dreams, but as we stand here today we believe that those dreams have been realized beyond our wildest imagination. And so today we stand at the threshold of another 50 years and more, what are our dreams and hopes for the future of UCSC? I’m here to give a short blessing and I represent many different faith traditions in the University Interfaith Council, including even our secular student alliance, so how does one pray or bring a blessing? The one spiritual practice that all religious traditions and people of faith without a religious tradition acknowledge and respect is silence. And so as the gong sounds let us remember in silence, give thanks to God, or just give thanks for all the blessings of these past 50 years and resolve to be a blessing in the years to come. May the dreams of Clark Kerr and McHenry, and implemented by people like Page Smith, Hal Hyde, who is with us today, and so many others over these past 50 years continue to become a beacon for us in the future. Before we pause for silence, permit me to offer a small “prophetic footnote”. When I listened to the audio recording of Pat Brown 50 years ago I was impressed by his insistence on tuition free education. With today’s astronomical student loans it is important that we remember the Calif. Master Plan for Higher Education had hoped to provide that kind of education. As we reflect to remember and celebrate the past 50 years let’s add this concern to our dreams and hopes for the future. A tremendous challenge! A moment of silence."